GREENWOOD – The Spencer boys basketball team dropped a tight 58-57 decision at Greenwood on Friday night. The Rockets fall to 6-10 overall and 5-7 in the Cloverbelt Conference East Division, while Greenwood improves to 4-11 and 3-8 in conference play. Brett Kasch had 24 points and Austin Bacon added 17 points for the Rockets, who shot just 23 of 62 from the field in the loss. Alex Zimbauer led Greenwood with 15 points. 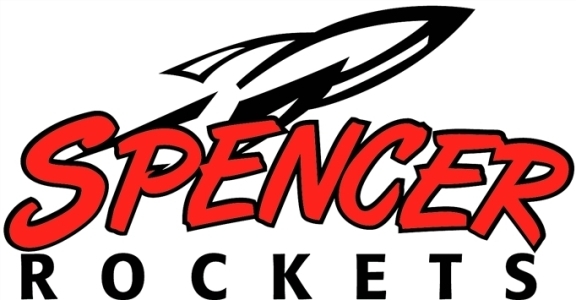 Spencer hosts Owen-Withee at 2:30 p.m. Saturday. SPENCER (57): Jacob Schultz 0-1 0-0 0, Brett Kasch 8-23 4-6 24, Austin Bacon 8-24 0-0 17, Nate Karau 4-7 1-2 8, Trinity Larson 1-1 0-0 2, Eric Ehlert 1-2 0-0 3, Kaleb Brandt 1-4 1-2 3. FG: 23-62. FT: 6-10. 3-pointers: 6-28 (Kasch 4-17, Ehlert 1-2, Bacon 1-7, Schultz 0-1, Brandt 0-1). Rebounds: 34 (Kasch 9). Record: 6-10, 5-7 Cloverbelt Conference East Division. GREENWOOD (58): Treyton Thomas 2, Westin Schmitz 5, Cole Zimbauer 4, Tragen Bogdonavich 10, Trenton Klabon 3, Cooper Bedlau 11, Suda 8, Alex Zimbauer 15. Record: 4-11, 3-8 Cloverbelt Conference East Division.